C.T.S specializes in the design and manufacturing of innovative jamming for the wireless communications that are valuable for counter-terrorism, security and defense industries. They recently have developed a long distance drone jammer that can hit objects at a distance of up to 1000 meters. China, October 29, 2015 – The unmanned aerial vehicles (UAVs) or drones could bring several types of threats and could be interfering with one’s privacy. This is the reason why many people often search for effective drone jamming solutions to lead a peaceful and safe life. China based C.T.S Technology Company has innovative jammers for UAVs and wireless communications that can safeguard people from these aerial devices. They recently have developed a long distance drone jammer that one can use to hit a device from a significant distance of up to 1000 meters. According to the spokesperson of C.T.S Technology Co., Limited, the long distance jammer uses the radio control frequency disruption technologies to stop drones in the air to help establish the safety and security of the military installations or civilian colonies. The gun operates on standard GPS and ISM radio bands Wi-Fi 2.4Ghz 5.8Ghz that allow it to interfere with the commercial UAV signals. The gun can operate with a significant frequency range, allowing to detect and bringing down a UAV from a far distance. The spokesperson reveals that the long Distance drones jammer is an effective way to jam the control and navigation signals of UAVs. The jammers designed by the CTS engineers thus bring an effective protection against all types of remote controlled wireless devices, including drones. According to him, the jammer has been developed with a simple and flexible utilization concept and one can easily use it to jam an aerial device from a significant distance. C.T.S has an impressive jamming solution range including UAV jammers, cellular jammers, convoy jammers and other types of jammers. One can procure these jammers from anywhere in the world and can protect themselves from aerial threats. 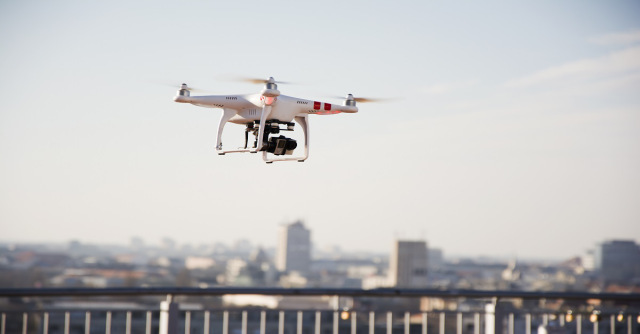 However, in many countries and states, the use of UAV jammers is prohibited and one should check the legalities of using a jammer before ordering it to use it in their country or place. To learn more about different types of jammers and the new long-distance drone jammer, one may visit the website http://ctstechnologys.com/.